The 6160PX is an hardwired adressable alpha programming alarm keypad that is easy to install and simple to use. The 6160PX is a remote keypad with a built-in proximity reader that is intended for use with Honeywell ADEMCO control panels. The attractive white console blends with any décor and features a contoured, removable door that conceals illuminated soft-touch keys. 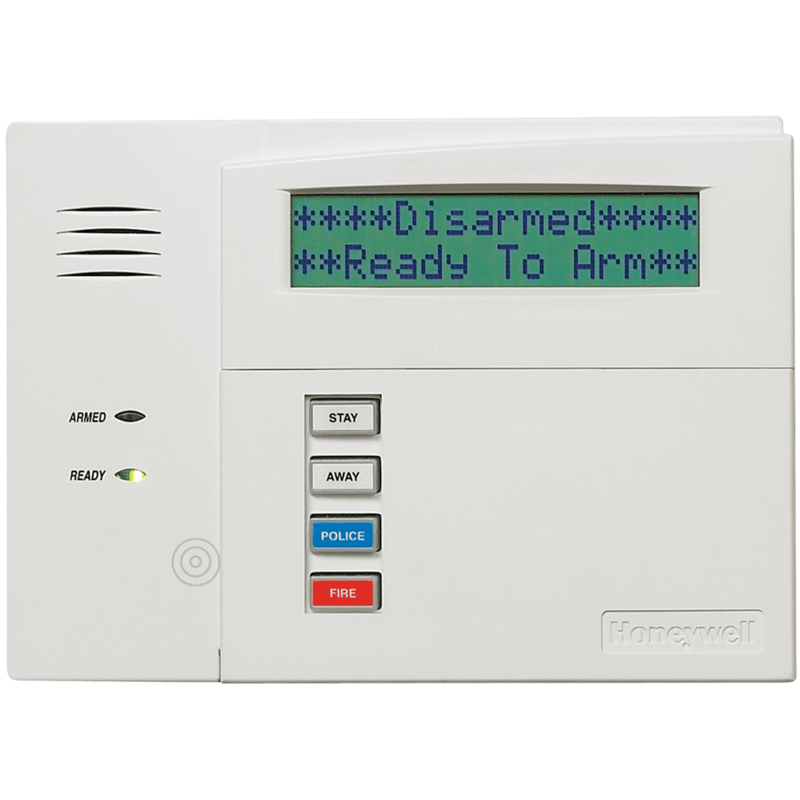 The 6160 alarm keypad also features a new larger and brighter 32-character display with easy-to-read plan-English status messages. The oversized function keys are easily accessed even when the keypad door is closed, and can be programmed for fire, burglary, personal emergencies and other operations. Colored self-adhesive labels are included. This keypad does allow you to program a security system, as it has an alphanumeric screen display. The 6160PX keypad display is backlit when any key is pressed and times out after 30-45 seconds. Permanent display backlighting is an option on some controls (refer to the control panel's instructions for details). However, the backlight on the keys is always on for easy visibility and cannot be disabled. A basic sounder is built in to the keypad and no external sounder is necessary. The 6160PX can be armed away or disarmed with a single swipe of the proximity tag, making operation effortless while reducing false alarms. Prox keypad can be installed in hardwired or wireless installations. The built in Prox reader has it's own ECP address separate from the keypad address. It is for use with prox tags. Two prox tags comes with the keypad. Each prox tag is enrolled as a "user" in the alarm system by programming the last four digits of the tag's serial number as the user code. The Prox Reader uses an additional keypad address, which must be enabled at the control panel (see control panel installation instructions for allowable keypad addresses). The Prox Tags in two colors, black (PROXTG-BK) and gray (PROXTG-GY). The Prox Tags will only arm and disarm one partition. The Prox Reader cannot be used to perform global arming operations. Keeping in mind that the partition used for the Keypad, Prox Reader, and user security code must be the same.